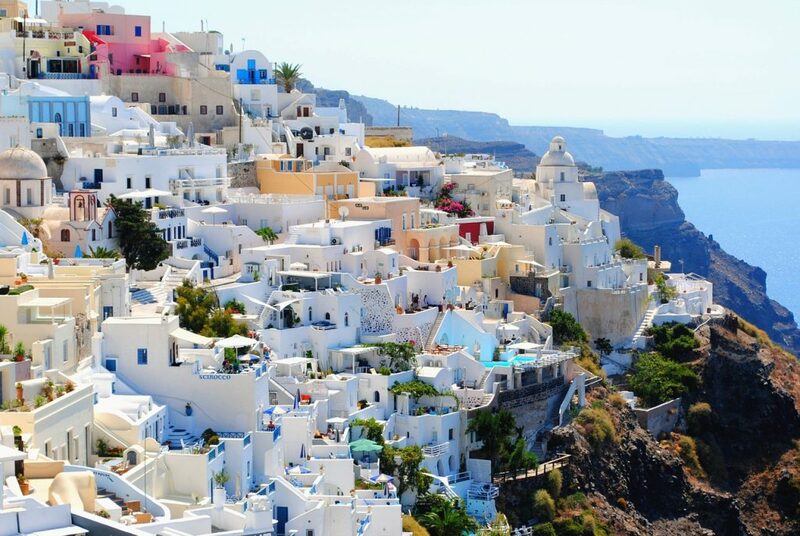 One of my travel bucket list countries has always been Greece. When I think of the ancient country, visions of Colin Farrell, ruler of Macedon in the movie “Alexander the Great”, setting out to conquer m…uhmm…the world, cross my mind! 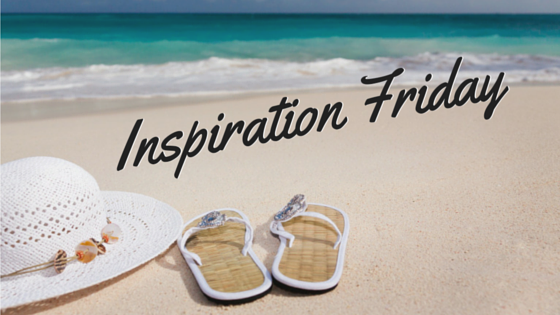 This week’s installment of Inspiration Friday ~ Greece will have you opening your laptop and searching for the next flight out. Birth place of Western civilization, Greece is best known for it’s amazing black sand beaches, unique architecture, beautiful food, and gregarious people. Think “My Big Fat Greek Wedding I & II. Who wouldn’t want a family like that?! Dating back to 270,000 BC, Greece holds the secrets of all three of the stone ages and is where the written word came to be. Crete, the largest and most populated of all the Greek islands is another island on my travel bucket list and is home to some of the most breathtaking beaches, mountain peaks, and grottoes in the world. Popular foods of Greece are Saganaki – a deep fried cheese, seriously, no need for explanation!, Gyros -slices of juicy meat roasted vertically on a spit wrapped in pita bread with a variety of causes, tomatoes, onions, lettuce and french fries…yes, french fries!, and kebabs – a long minced meat, sausage looking meat patty roasted on a grill or open fire served with grilled vegetables and pita slices. That’s this week’s installment of Inspiration Friday ~ Greece..do you want to go now? Come on, you know you, at least, want to run out and rent “Alexander the Great”! I know I’m going to watch it again! LOL! So…have you been to Greece? What did you love most about it? Share your experiences with us!